Additionally, the Nephites recognized that “they had become weak, like unto their brethren, the Lamanites, and that the Spirit of the Lord did no more preserve them; yea, it had withdrawn from them because the Spirit of the Lord doth not dwell in unholy temples” (Helaman 4:24).1 The Nephites ultimately accepted their need to repent: “They saw that the Lamanites were exceedingly more numerous than they, and except they should cleave unto the Lord their God they must unavoidably perish” (v. 25). The Nephites, although being a remnant of the Lord’s chosen people, were not inherently safe from the sins and weaknesses of the world. 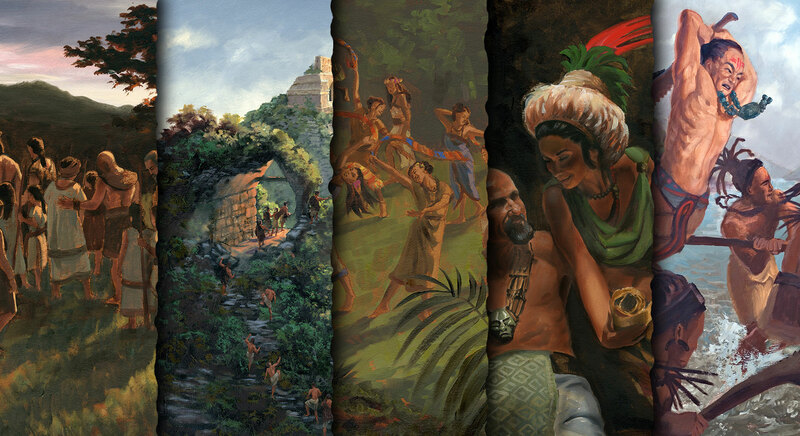 Coming off of a period of prosperity and peace that included an increase in the church’s membership and prestige, many of the Nephites during the time recorded in Helaman 3 began to fall into the dangerous snares of pride. As Mormon recorded, in the fifty-first year of the reign of judges, there appeared to be peace, but pride began to enter “into the hearts of the people who professed to belong to the church of God,” and in the next year that pride “had gotten into the hearts of the people; and it was because of their exceedingly great riches and their prosperity in the land; and it did grow upon them from day to day" (Helaman 3:33, 36). As President Thomas S. Monson warned, “We cannot afford to be complacent. We live in perilous times; the signs are all around us.”3 These same perils can easily be seen at times plaguing Nephite history, and therefore they serve as a reminder for modern readers to “beware of pride, lest ye become as the Nephites of old” (Doctrine and Covenants 38:39). 1. Mormon may be speaking here both metaphorically and literally. See further, Book of Mormon Central, “Why Did Moroni Refer to Vessel Impurity in Condemning the Central Government? (Alma 60:23),” KnoWhy 169 (August 19, 2016). 2. Daniel C. Peterson, “Their Own Worst Enemies,” in The Book of Mormon, Part 2: Alma 30 to Moroni, Studies in Scripture, Volume 8, ed. Kent P. Jackson (Salt Lake City, UT: Deseret Book, 1988), 103, emphasis in original. 3. Thomas S. Monson, “Constant Truths for Changing Times,” Ensign, May 2005, online at lds.org.